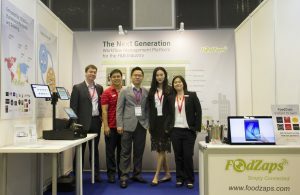 In early November 2016, we participated in one of Singapore’s leading events for Productivity Technologies. 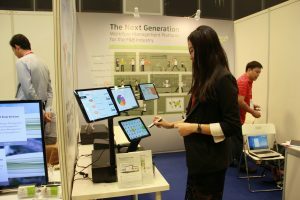 The Singapore Productivity Conference & Exhibition is organized by the Singapore Business Federation. 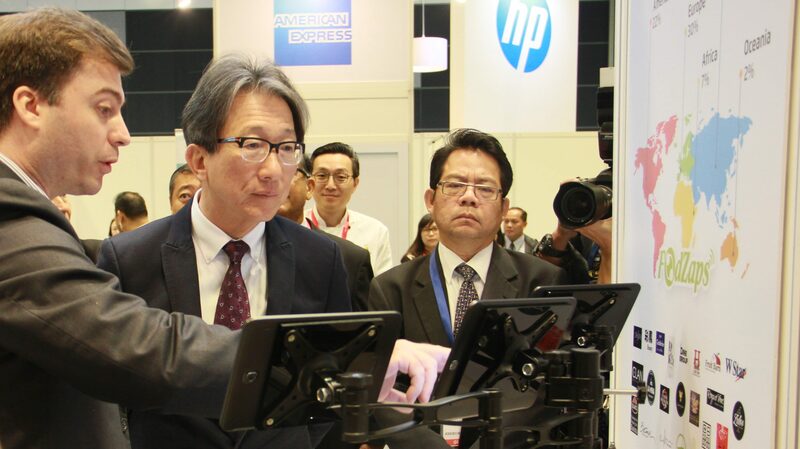 The guest of honor was Minister of Manpower Mr Lim Swee Say . In his speech to the assembly, Mr Lim Swee Say emphasized the importance of local businesses to improve productivity to stay competitive. He highlighted that businesses need to re-examine their processes to find bottlenecks. As a result, they can upgrade their processes. It is important to improving both speed and quality of services. 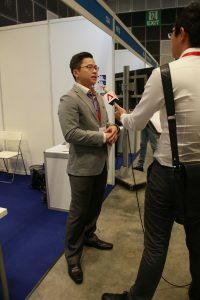 Mr Lim Swee Say had limited time to spend with the different participants (total 25 minutes) and decided to allocate about 10-15 minutes to find out more about our solution. Please excuse the quality of this footage! We are grateful for this highlight. It was both a surprise and a testament to our vision then that our Minister of Manpower decided to spend some of his valuable time with us. 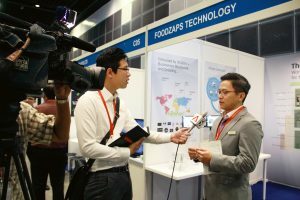 Food & Beverage is one of the biggest industries in Singapore (and globally). We have scratched our head to find solutions that go beyond what a traditional or even Cloud POS can do to help businesses improve productivity. In fact, helping restaurants identify bottlenecks and proposing solutions to improve productivity is precisely FoodZaps’ strength. 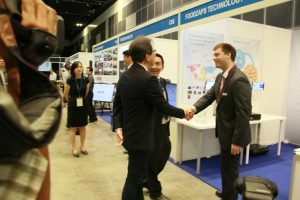 Channel News Asia, part of MediaCorp, decided to feature us on their news story! The Straits Time included us in their article on the event. Hence what are some of our main takeaways from this event? Singaporeans are extremely lucky! There are not many governments around the World who are so actively involved in raising the standards for their SMEs. Several government grants are in place to help local businesses gain a competitive edge. Hence this creates dynamism for start-ups to help them focus on the essential issues. Businesses must look beyond automation. Automation is all too often the go-to answer for problems. Therefore, as nice as automating is: without specific bottlenecks to resolve, these are just dust in the wind. Today’s productivity gain may be tomorrow’s bottleneck. Solutions we found to solve issues in the past may not be good enough today. Therefore, any company looking to bring innovative productivity solutions to its clients must constantly re-evaluate its services. Short-term gains are not sustainable. We must be ready to challenge every piece of the process. Especially relevant for this, it is essential to have the right tools and methodology for a deeper analysis. With the amount of solutions out there, it is more important than ever for businesses to do their due diligence and find the solution that works best for their unique commerce. Change is the only constant. Once you resist change, you soon become obsolete. 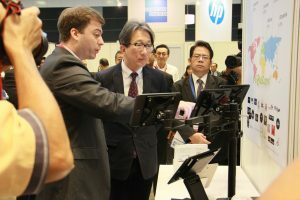 Your tools must give you enough flexibility to integrate value-adding or value-enhancing products. Consequently, you will gain an invaluable competitive advantage over your competitors. At the end of the day, it has been a privilege and honour to tap on fellow innovators and leaders. What an inspiration! FoodZaps is Pre-qualifed Integrated Solution Provider Under the ICV Scheme, click here to find out more.